When someone has locked in syndrome, it is difficult for the person to communicate more than just a yes/no answer. Assistive technology devices exist to help in this situation, but they are expensive and usually aren’t immediately available. One way to communicate is for an assistant to list the letters a, b, c, …. and have the person signal the correct letter is reached. Then, repeat this until a word is spelled out. 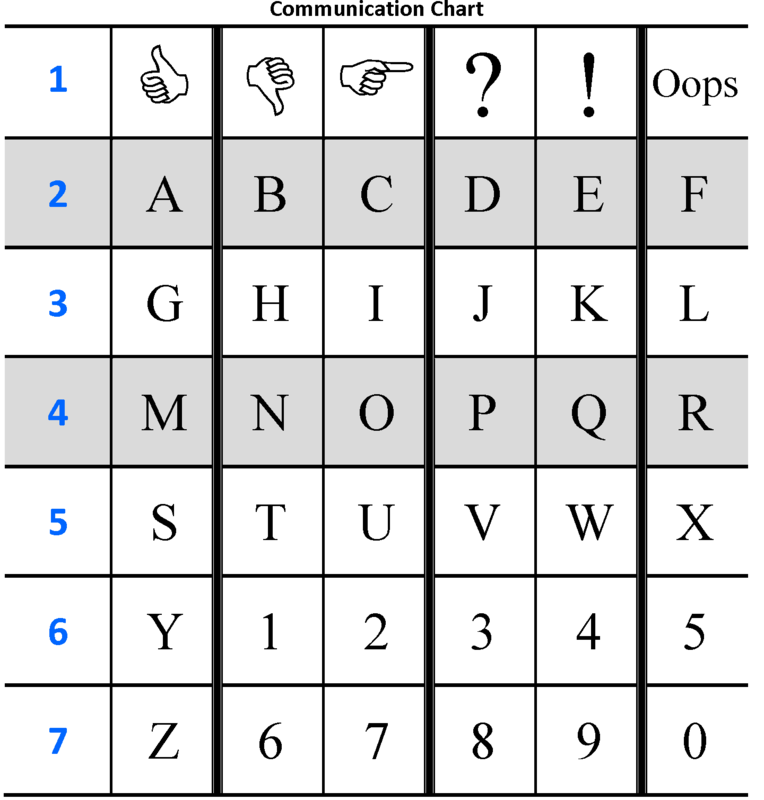 This chart is more efficient because it can select letters with fewer steps. The idea is to read 1, 2, 3, 4, 5, .. and stop when the person selects a row. Then the assistant would read the letters across the row. Once one letter is chosen, the process may be repeated until a word is completed. I estimate on average this chart is will be at least twice as fast as spelling the alphabet to select words. It doesn’t require much training to be able to use it. It’s also easy to reproduce the chart by just printing the diagram. The chart is released in a Creative Commons By-Same As license.